Bubbles are fun for all ages. 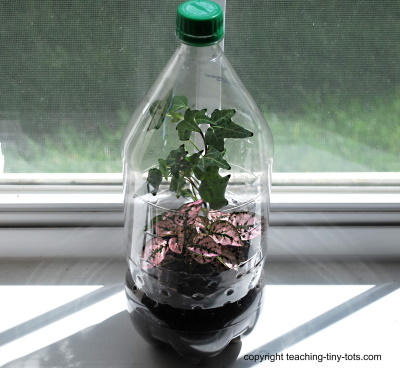 You can print your own label with the child's name, a picture or the occasion it is celebrating and glue it around the bottle to make it personalized. If you are personalizing your bubbles, use one that has a smooth surface for the label to glue on easily. 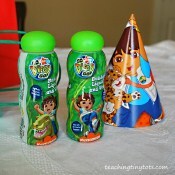 These were selected for a Dora and Diego themed party. 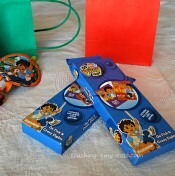 Party themed color books make another great goody bag filler. 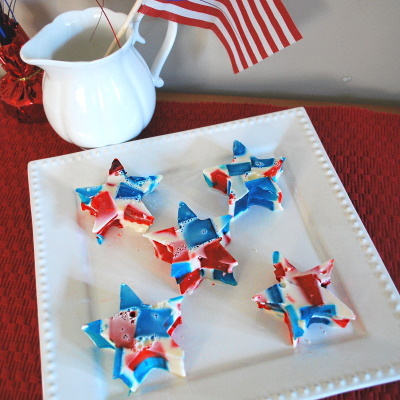 You can find these at craft stores and Dollar Stores. Mini Play Dough are great for almost all ages. They are about 2 inches across and 1 inch high. A couple of each color help fill a bag nicely. If you made a round sticker you could stick these on the top of the lid or make a label to go around the tub to personalize this with your child's name or birthday theme. 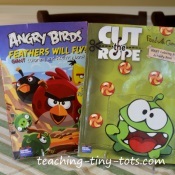 These are small games we found at Target and Craft stores for $1. The item on the left is a matching game like Memory and on the right is a Tic Tac Toe game with cute wooden markers to play with. Parents really appreciate these because they can be used on trips and long car rides! 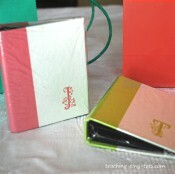 Cute notepads with colored newsprint. Perfect for even the youngest toddler. 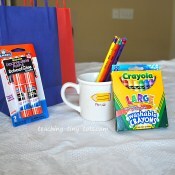 Pair it with a box of washable crayons and you have a set that will make any child happy. This is a great idea for parties of multi age children. It is something that will last longer than your regular party favors. 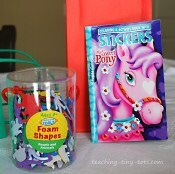 Look for sets on Scholastic or at Dollar Stores. Small toys are fun but watch for small pieces. Check the age recommendation on packages. 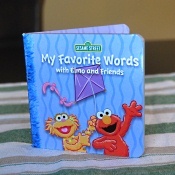 Cute mini sticker color books are another perfect goody bag item or select from the many foam sticker themes. 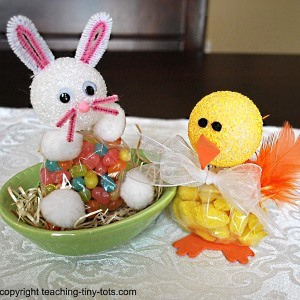 Bag some in clear ziplocks labelled with a cute sticker or a clear poly bag tied with a bow. These are great for long car rides, restaurant waits. 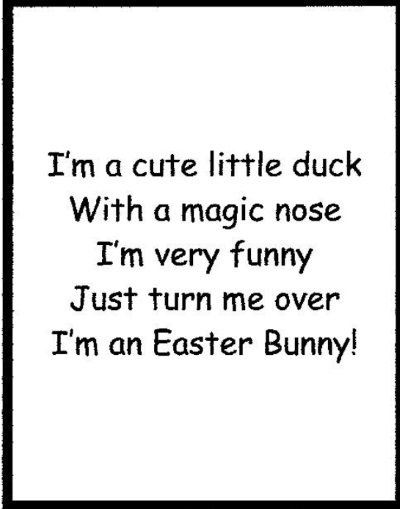 Parents will love them too! These are handy and always appreciated. 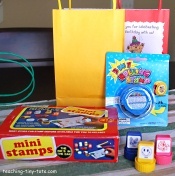 Stamps sold in bulk in a box make easy goody bag fillers. These were purchased from a Party Store. 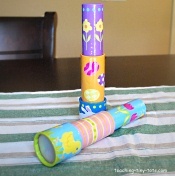 The rolling stamps are another idea that older toddlers might enjoy. 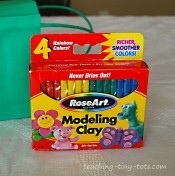 Modeling Clay in a variety of colors is good for multiple ages and a good sized filler. One of your activities can be to play with the clay and take home what they make. Miniature photo books are cute! Print out a favorite picture of the birthday child or a group photo of the party, print and insert and into photo album to send home with each child. 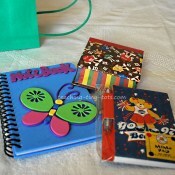 You could even decorate the album as a party activity with foam stickers. 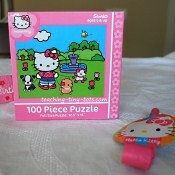 Small jigsaw puzzles are great goody bag fillers for older toddlers. You might even be able to find one that matches the theme of the party. 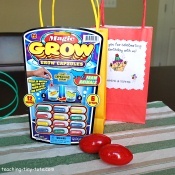 These Grow Capsules come in a variety of themes and are great for boys and girls. 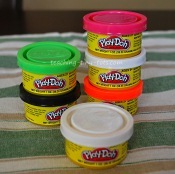 Silly Putty is also another classic toy for older children. We found card sets matching party themes at the large party stores and some craft stores. There were Disney Princess cards well as this Diego set for Crazy Eights and Go Fish. 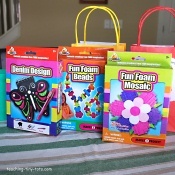 These are boxes with a simple craft project like stringing foam beads, decorating a notepad. All items needed are in the box. 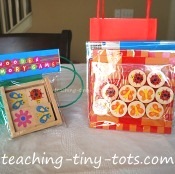 We found these great for long car rides and airplane rides as well as favors.